United Conservative Leader Jason Kenney has cancelled the party membership of a former campaign worker with alleged ties to white supremacists and says the party is working on a way to screen these people out. United Conservative Leader Jason Kenney has cancelled the party membership of a former campaign worker with alleged ties to white supremacists and says the party is working on a way to better screen applications from people with extreme views. In a written statement released late Tuesday afternoon, Kenney said he was "shocked and disturbed" by the online reports released this week about Adam Strashok, who ran a call centre for Kenney's leadership campaign in the fall of 2017. "Neither I nor anyone on my staff was aware of the extreme views of the individual in question," Kenney said in a written statement released late Tuesday afternoon. "I have since instructed party officials to cancel Mr. Strashok's membership. I recently also asked the board of the UCP to develop a process for screening applicants for membership to block those who have expressed hateful or extreme views." According to left-leaning website Press Progress, Strashok was a call centre leader for Kenney's campaign for the UCP leadership in September and October 2017 where he managed and trained a team of 15 volunteers. Press Progress said Strashok's social media accounts suggest he supports white nationalist and anti-Semitic views. Strashok has deleted most of his social media accounts and CBC News has been unable to verify this claim. Ricochet Media, a crowdfunded Canadian news site, reported that Strashok had connections to Fireforce Ventures, an online site selling military gear such as "Rhodesian Army Shirts," Republic of Rhodesia" flags and patches. Rhodesia is the colonial name of the modern-day Zimbabwe, which was ruled by a white minority until 1980. Such memorabilia has been embraced by white supremacists in recent years. CBC News has been unable to reach Strashok for comment. Strashok attended the University of Calgary where he was one of the founders of the institution's firearms association. He worked as a constituency assistant for Calgary Heritage Conservative MP Bob Benzen. Over the past several months, the UCP has had about a dozen candidates caught up in controversy over racist and homophobic views as well as election financing contraventions. Some have been disqualified. Some have stepped down. Others have been allowed to run. The incidents have led critics to ask why the party keeps attracting supporters with extreme views. 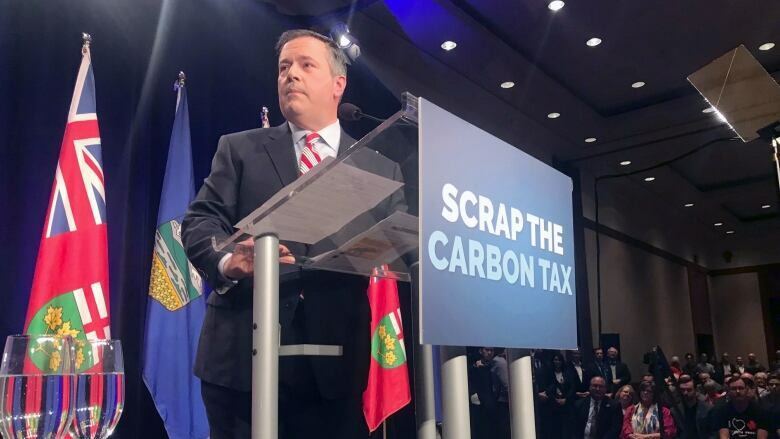 In a tweet posted Tuesday afternoon, Former Wildrose Party leader Brian Jean said Kenney needed to take more decisive action. "The #UCP and @jkenney need to kick these weirdos out of the party for the sake of decency," Jean tweeted Tuesday afternoon. "They should never have been there in the first place. There is no place for hate and bigotry in our society or political landscape. Stop playing footsy with freaks!" Deputy Premier Sarah Hoffman said she knows Kenney is not an anti-semite but she questions why people with extreme views keep gravitating towards the UCP. "You can't be held completely responsible for all of your volunteers, I get that, or even paid staff," Hoffman told CBC News. "When you're applying to be premier, you're held to a standard where you can't let folks get away with this kind of stuff without calling it to account."